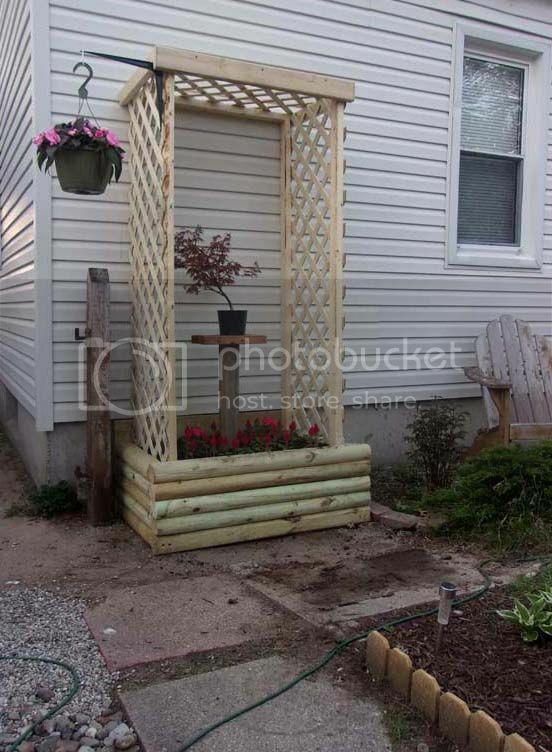 Being a former 20 yr welder wood is more of a foreign material for me to work with lol, but I decided to tackle a project yesterday for out back in the bonsai garden and built this raised flowerbed/arbor. Came out pretty good for an old metal fabricator. Put a raised pole in the center with a shelf on it so I can swap out what bonsai tree I feel like displaying in it.